Substituting the donor’s specimen with someone else’s drug-free urine. 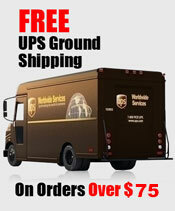 Color – A clear color may indicate that the sample has been watered down. Unadulterated, normal urine should be pale to dark yellow or amber in color. 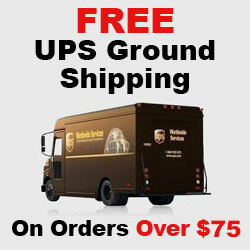 However, a sample should not be considered positive by color alone, but should be suspect for closer examination. Temperature – The temperature os a urine specimen should be between 91 and 98 degrees when checked within 4 minutes of collection. Urine that is submitted at body temperature will exceed 90.50 degrees Fahrenheit. A specimen that fails below that range us suspect. 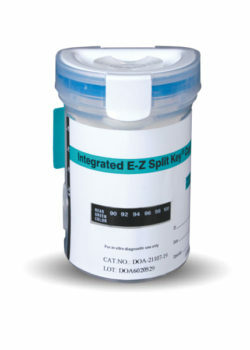 Direct observation of the donor as he/she provides the sample is a foolproof way to prevent specimen substitution or the direct addition of foreign substances to the sample. However, direct observation is commonly considered an infringement of individual privacy and is rarely done, especially in pre-employment and other workplace testing. U.S. Screening Source offers products to help guard against adulteration. 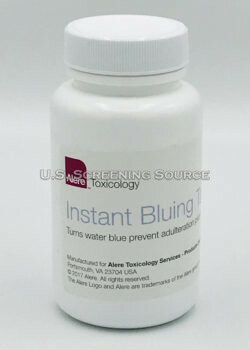 Instant Bluing Tablets Stat-Blue Instant Blue Tablet designed for quick, portable, and easy to use bluing application. Comes packaged in twist cap bottle. 100 tablets per bottle. Glutaraldehyde– This covers a class of chemicals not normally found in human urine. 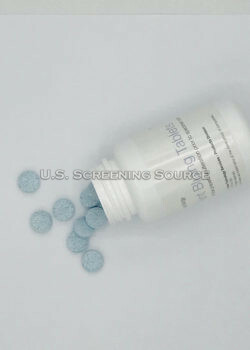 Common occurrences are the additive of such products, such as Clear Choice or UrinAid. Nitrites- This covers a class of chemicals not normally found in human urine. Common occurrences are the additive of such products, such as Klear or Whizzies. Oxidants and PCC-Tests for the presence of oxidizing reagents such as bleach, hydrogen peroxide, and pyridinium chlorochromate (PCC). Normal urine should contain no trace of oxidants. 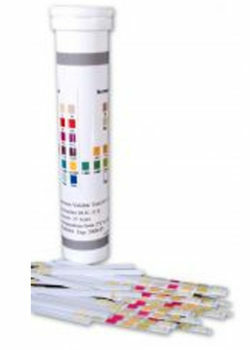 pH- Tests for the presence of acidic or alkaline adulterants in urine. Normal pH levels should be in the range of 4.0 to 9.0. Values outside of this range may indicate the sample has been “spiked” or altered. 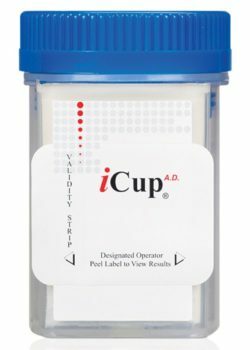 Specific gravity- Tests for the viscosity of the urine sample. Specific Gravity tests for sample dilution. The normal range is from 1.003 to 1.030 Values outside this range should be considered adulterated.